By the end of 2014, HP has come out with an advanced gaming Laptop named HP Omen. 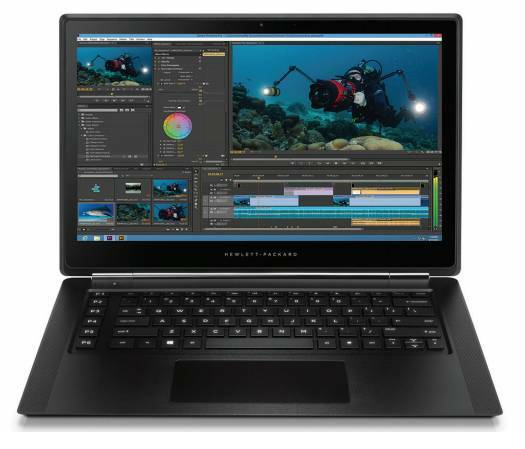 The Laptop featured a display screen of width 15.6 inches along with NVIDIA graphics. The new laptop was powered by Intel Haswell processor. Since it is a gaming laptop it must have a powerful processor along with the feature supporting graphics. So HP technical team has given immense care to provide these two along with the new Omen laptop. Can you imagine a business supporting transformation for this gaming edition? HP made it real by introducing HP Omen Pro – mobile workstation that works on the gaming platform of Omen. Thus the new laptop is going to provide better performance for the business class people. What makes HP Omen Pro Distinct? The display of Omen Pro is same as that of its base version and is 15.6 inches edge to edge width with 1920*1080 pixel display resolution. It works on more powerful and latest Core i7 Haswell Processor providing better performance. It is also accompanied with NVIDIA graphics of Quadro K1100M instead of the older GeForce GTX 860M. This will provide better graphics experience along with the high end performance of the laptop. The all new version is added with the feature of Touchscreen Display facility just like the smartphones. The battery is powered to be 58 Wh. The new model also supports 802.11ac WiFi connectivity along with Bluetooth connectivity of 4.0. The laptop comes out with four USB ports of 3.0 version, for extra speed data transfer. It also has an HDMI port along an audio headset jack and a mini Display Port. The keyboard also features backlit which makes typing easy even in nights where extra light is not available. Starting prices of the new series of Omen Pro laptops seem to be high as compared to their predecessors. The price starts at $2199 and goes upwards with advanced features. But on observing the features provided by the company the price doesn’t seem to be that much high. With this price the customers are able to get the most advanced and latest Core i7 4720HQ processor coupled with NVIDIA graphics. The storage capacity is 256 GB and has a powerful RAM of 8 GB. The new laptop comes out with Windows 7. The company also offers a warranty of 3 years. If you are ready to spend a few more bucks you can grab a more storage offering variant. This one comes out with 512 GB storage coupled with 16 GB RAM. Company also says that it is offering Core i7 4870HQ chips also. The original version of HP Omen costs you $1499 and more. For warranty exceeding 1 year, Windows Pro software and PCIe storage, the customer has to pay more. Still it would be less than the Omen Pro. The customer who wants to have a professional laptop with gaming platform and has enough money in wallet can opt for Omen Pro or they can just satisfy themselves with HP Omen.